Cassette Tapes! « NoveltyHaus ist Macht! 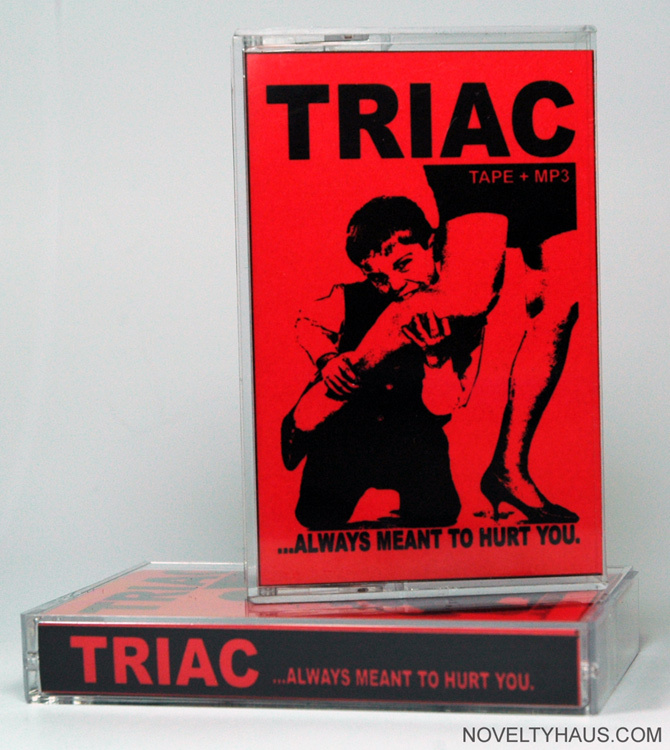 TRIAC “…Always Meant To Hurt You.” Cassette Tape EP + MP3 Download. Limited Edition Tour EP Cassette with MP3 download version. This tape is being produced in an edition of 100. These are four previously unreleased Triac original songs featuring Jake Cregger of Jesus of Nazareth. Each download code allows 5 downloads, feel free to share your remaining downloads with your friends! The code is located inside on the inner sleeve of the cover, just above the url.